“After nearly two decades of strong growth, average economic activity in sub-Saharan Africa has decelerated sharply, against the backdrop of lower commodity prices, a less-supportive global environment, and, in the hardest-hit countries, a delayed policy response (Chapter 1). However, the full picture is more complex, with considerable heterogeneity across countries. Against this backdrop, two related questions arise: How can growth be revived in the hardest-hit countries? 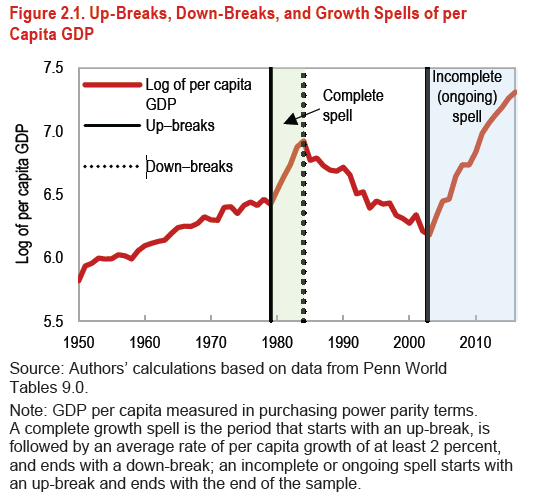 And for countries that are still growing fast, how can growth be sustained?